I've had my wind for just over a month now and I'm loving it, but there's a lack of storage in the cabin area. I was wondering if anyone had had any cunning storage ideas? I use the floor area behind the seats. I have the Euro travel pack there and a variety of hats, scarfs and gloves also a map and on the shelf my cd's. I also have a hand bag that is the shape of the gap between the seats. 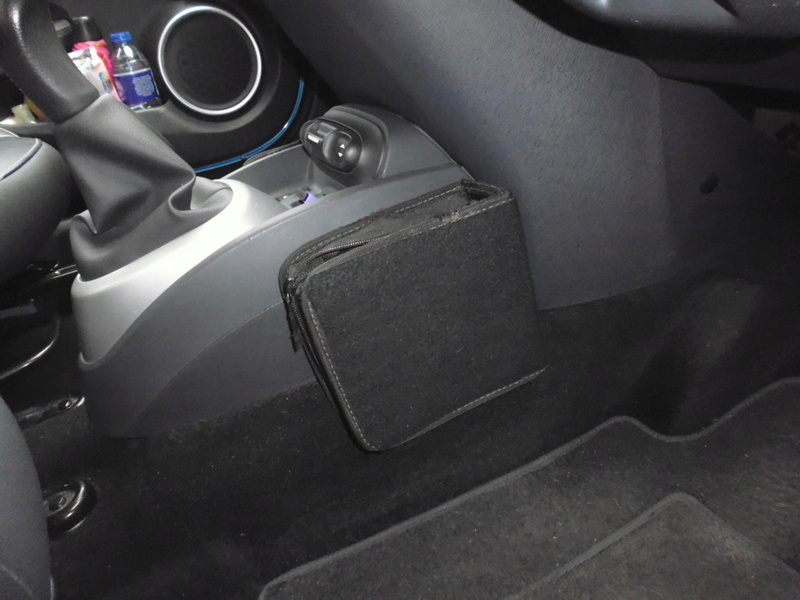 If you have heated seats I would avoid putting anything under the seat as the cable could easily be damaged. 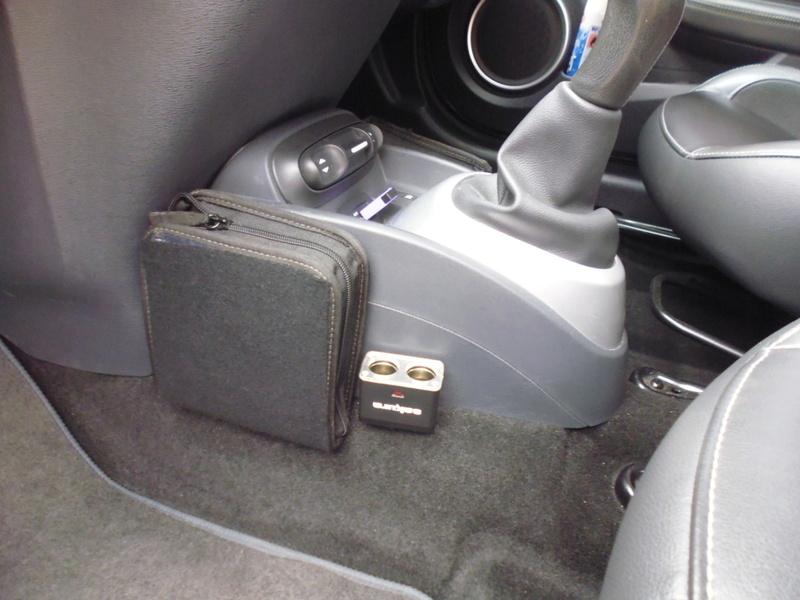 In order to store my Tom Tom & various leads for Tom Tom, mobile charging etc in the MGTF I bought two CD holders from Halfords. I removed the CD sleeves & then mounted them on the sides of the central tunnel; hole drilling required; with trim press studs. When I got the Wind I transferred them along with a twin socket power source which I wired into the Wind's glove compartment power source.. I also have in the boot two velcro attached "boot tidys" which contain all sorts of touring bits such as: oil, tow rope, jump leads, tools, brake fluid, etc. There is still room for all my golf gear with these in place. 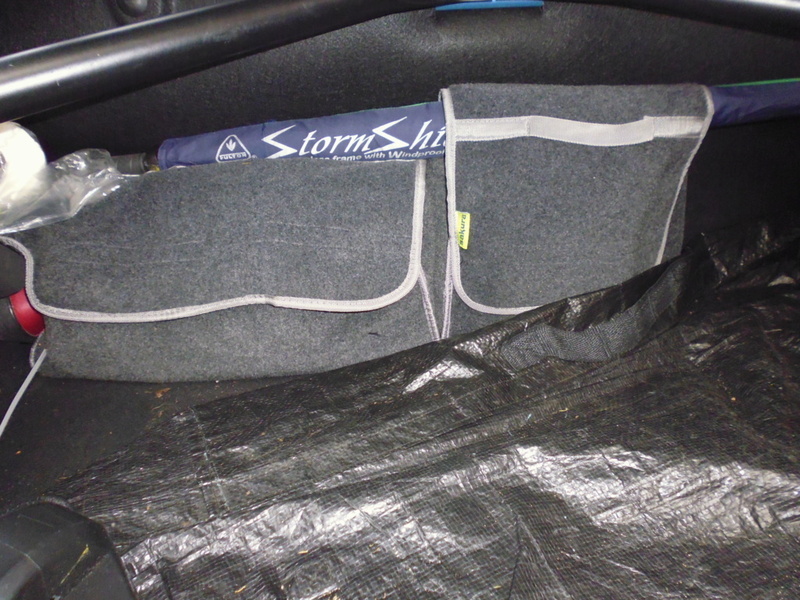 I also have a similar "tidy" behind the passenger seat modified to hold: red triangles, yellow gilets, etc.